How to tell if car battery is bad, how long it should last: Your car’s battery is one of those things you don’t think about much until something goes wrong. If you’ve ever left your lights on accidentally and drained your battery, you know what an awful feeling it is to be stranded with a dead car. Most car owners know how important the battery is to their car’s lifespan, but few are aware of when the right time to change the battery is, because (like estimating how long your brakes will last) there isn’t a set time frame for how long a car battery should last. For most drivers, a car battery should last three years or more, but there isn’t any way to know what end of the scale your battery will fall on until it starts to show signs of aging. For that reason, it’s important to pay attention to what your car and your battery are telling you. One of the easiest signs of how to tell if a car battery is bad is the presence of corrosion on the battery itself. Even though batteries require acid in order to function properly, they don’t corrode around the cables unless there’s a sign of a leak. 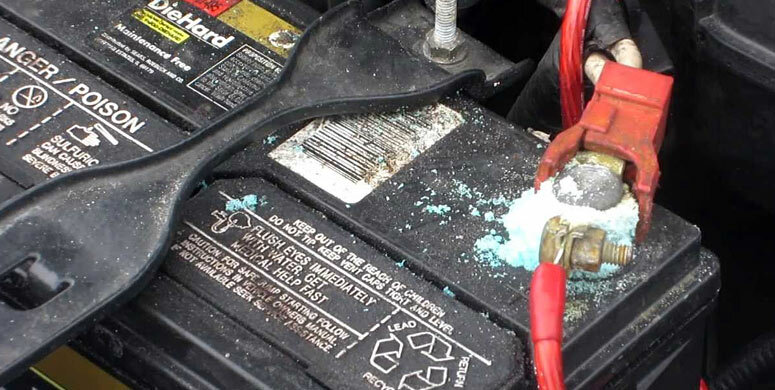 Not only is car battery corrosion terrible for your battery, but it’s also a major problem for your car. If the acid leak is able to mess with the metal that makes up your battery, you can imagine what it’s doing to the other parts of your car that you need to function properly in order to drive. 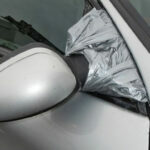 If left untreated, that corrosion can cause a major problem for the rest of your car, causing you to have to return to your auto mechanic for a repair that you could have avoided. 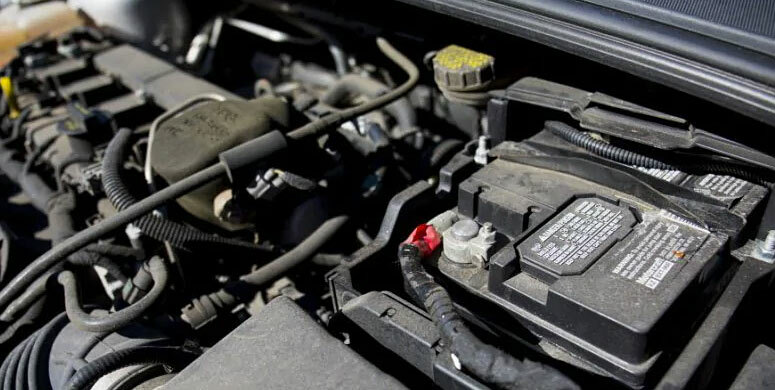 Unfortunately, there aren’t always visible signs your car battery is dying, so it’s important to pay attention to any sign of trouble when you attempt to start your car. If you’re having trouble getting the car to start in the morning (engine doesn’t rollover quickly on first attempt) and it’s not a particularly cold day, that’s a sign that you almost certainly have a battery problem. A weak or dying battery might make the car sound like it’s struggling to start up. Also, if you can’t get any lights to turn on fully in the car when you turn the key, the battery is almost surely the culprit. Even if the car ends up starting after a few cranks, you don’t want to push your luck. 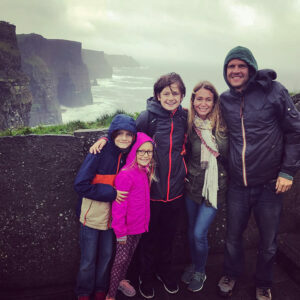 One instance means that it’s time to start checking around to see how much car batteries cost (see below) and planning your budget appropriately. A second instance within a short time frame means that your waiting period has expired. When that happens, you need to test or replace your battery as soon as possible. Mechanics measure the power of a car battery in cold cranking amps. A new car battery might start at 650 cold cranking amps, and start to struggle when it dips into the 400’s. The last thing you want to have happen when you’re trying to figure out when to replace a car battery is to discover that you waited too long to replace the battery and you’re stranded with a car that won’t start. Looking at the battery is also important because it shows you the fluid that you have inside the battery, which is one of the most vital parts of the battery’s life span. If you can’t see the fluid in the battery’s translucent case, (if the fluid is visibly below the lead plates inside) that’s a sure sign that your battery is living on borrowed time, and it’s only a matter of time before you’ll need to purchase a new battery to keep your car moving. This seems like it would be an obvious message that you need to replace your battery, but think of it more as a hint. If your dashboard lights up with a battery symbol, take it to a mechanic right away. They can determine what part of your electrical system is the problem and causing the battery light to go on. Keep in mind that it’s not always your battery’s fault! Tip: Some auto parts stores, including Advance Auto, will scan your check engine light as one of their free services. OK, so how long does a car battery last? Finally, sometimes you simply get an excellent battery that features a long life and shows no signs of problems even through its third year. If you don’t live in an area with harsh seasonal climates and driving conditions or put a lot of miles on your car, your battery should last longer. Good batteries have warranties of at least 2 years, and upwards of 5 years. What if it’s been 3 years since you’ve had your car’s battery replaced? You don’t need to replace a battery that has never had a sign of an issue, but you should take an older battery in to get tested by a trusted mechanic. If you have an AutoZone, Pep Boys, or Advance Auto Parts store near you, they will check your battery for free. It just takes a few minutes, and if your battery is shot, they can also quickly replace it for you. After being stranded recently when my car wouldn’t start in a strip mall parking lot, I also recently learned that they will test your car battery for free at most of those Bulbs & Batteries stores. Who knew!? 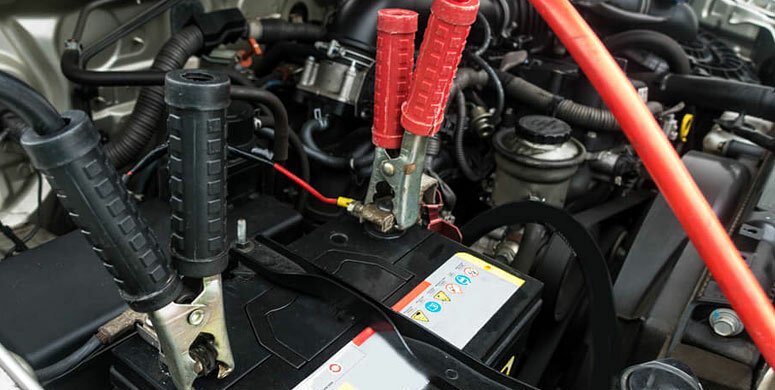 A full test by any qualified mechanic will let you know if your battery’s good fortune is likely to continue and help you decide whether a new car battery is something that you should plan for sooner rather than later. If the problem isn’t your battery, they’ll also be able to test your electrical system including your car’s starter and alternator. 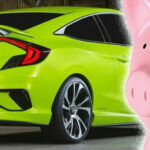 How much do car batteries cost? First of all, get a good brand name car battery like Autocraft or Duracell, even though it costs more. You should plan on spending about $100-150 total to replace a car battery, and don’t try to save $30 by getting something cheap! If you aren’t leaving your old battery, some automotive stores, including Advance Auto Parts, will add on what’s called a “core charge,” of an extra $18 or so. This is a policy that encourages the recycling and proper disposal of old batteries, as they are filled with lead and acid, and nasty things to just throw in a landfill or field! Plan ahead; don’t wait until your car battery dies to replace it! No matter what your car battery’s situation is, it’s never something to be ignored. If your battery does die on you, it’s going to cause some serious problems for you on the day it happens. When you’re trying to decide when to replace a car battery, it’s always best to be proactive and have your solution ready to go, rather than waiting for disaster to happen. Knowing you have a strong car battery in Winter? Pretty sweet!